Ten tactics for making your vacations flawless. Book tickets in advance. Set reminders for yourself in late summer or early fall to book travel tickets for the winter season. Also try to book early morning flights because they’re less crowded and less likely to be canceled or delayed than afternoon and evening flights. Check in online before going to the airport. This allows you to choose your seats prior to departure and saves you from extra fees if you’re checking a bag. 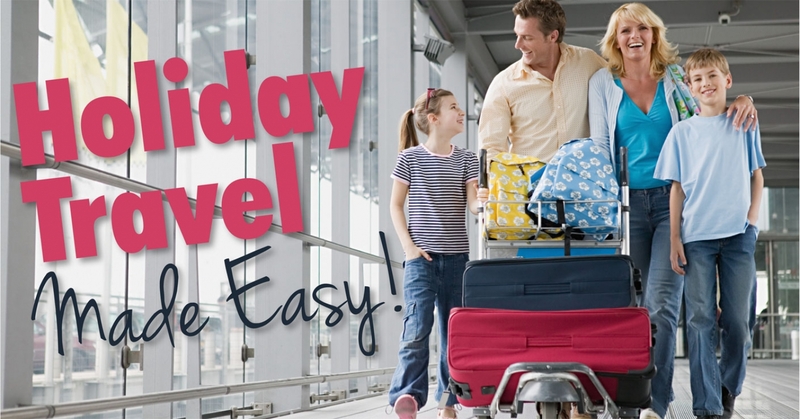 Even if you’re carrying on luggage, however, arrive at the airport earlier than usual. During the holidays, security lines tend to be long. Also, sign up for alert services to be prepared for any situation. Pack wisely. Save space in your bag by wearing your heaviest clothing while traveling. Keep in mind that bulky sweaters and coats make great pillows while en route to a destination without taking up real estate in your luggage. Tag your baggage correctly. If you’re checking a bag, identify it with more than just a identification tag to spot it quickly. A bright colored ribbon is a great option as it’s easy to spot. Be prepared. Pack your beauty, grooming and personal care items as well as an extra pair of underwear in your carry-on. This way if luggage is delayed or lost you can still look and feel your best. Order and ship gifts online. If you’re bearing presents during the holidays, purchase them on the Internet early and have them shipped directly to your destination. Place specific instructions on the package not to open until you arrive. If you’re bringing gifts, the TSA will probably unwrap them. If you must travel with gifts, a solution is to buy tissue paper and decorative gift bags to package presents nicely in a jiffy upon arrival. Have a multi-use balm in tow. Balms can be used wherever skin is dry, such as lips, cuticles and elbows. The inexpensive product locks in moisture for hours, which is helpful on dehydrating airplanes. It can also be used as a gentle eye-makeup remover. Travel with snacks. Oranges are a great choice because the smell is a proven mood lifter and helps relieve stress. This is also a great choice since it’s hard to find healthy options in airport terminals. Carry a hand sanitizer. This protects you and your loved ones from harmful germs that linger on seats, doorknobs and luggage handles. Carry proper documents and identification. When traveling internationally, be sure to have copies of your passport, along with your itinerary, emergency contact information and extra currency in different bags in case one piece of luggage is lost or stolen.